Since our establishment in 2018, We SV Pack Enterprises is known to be amongst the prominent wholesale trader of this highly commendable range of Packing Machines. 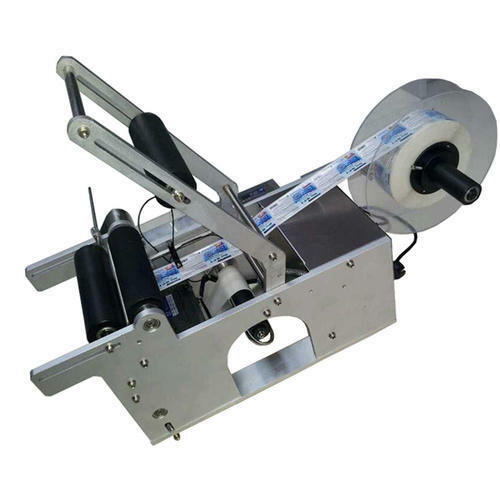 The offered range made up of the Strapping Machine, Band Sealing Machine, Label Applicator, Carton Taping and Sealing Machine, Carton Stretch Wrapping Machine,etc. Manufacturing of this range is done using the supreme quality materials and modern machines as per the standards set by the industry. The offered array of products is widely acknowledged for accurate dimension, application specific design, durable finish standard, high performance and lightweight. For the streamlined execution of our business, we have segmented our facility into various parts. Our team works in very close coordination with each other to accomplish set production targets of the organization in a successful manner. Strict quality checking is performed over the entire range by our specialized team of quality controllers, who assure to make the supply of error-free products in the market. Under the supervision of our mentor Mr.Shashank Barake, we are able to offer a high-quality range to our products. His capability of efficiently understanding the exact requirements of clients, making strategic business plans and policies have assisted us in becoming the most preferred choice of the customers.